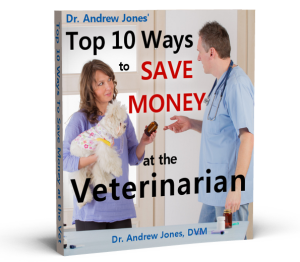 In this video Dr Jones shows you the proper way to give subcutaneous fluids to your dog or cat. P.S. Being adequately hydrated is ONE of the big keys in ANY animal recovering from illness. My New Veterinary Secrets Revealed Getting Started Course includes 8 books and videos, and I am offering it for the lowest price that I have EVER sold anything before, $6.97. I just started my dogs on your supplements and watching and learning from your videos. How incredibly blessed we are to have found you Dr. Jones. Thank you for teaching us how to be our dogs Vet with your instructions. I am so glad you care enough to help us at home.Of course we still need the vet for specifics but there is a lot we can do ourselves when time is critical, and you have cared enough to give us the tools to really help our dear animals! Many thanks Sincerely, Linda Botbyl, Niagara Falls Ont. Ca. Thank you so much, I found your video very interesting and informative. I haven’t yet had to give sub q treatment to my animals, but now I know what my vet is doing when he treats them! Do you have a video on how to give injections? Thank You to creating the video it’s a simple procedure!